Such a strange, strange week. It began first thing on Monday morning. Allan is usually up before me on weekdays, checking news and email. On Monday, he immediately woke me up with the words you dread to hear no matter where you live, “Get up, your Mom is in the hospital.” All we had at that time was an email from my niece, giving us what they knew at that point: My dad had called an ambulance on Friday when my mom suffered her third spell that week of shortness of breath, dizziness, and chest pains. It was too late for me to call anyone in Montana at their time of night so I had to wait until the end of my work day to call home. In the evening, I finally reached my dad in Mom’s hospital room. He said it wasn’t clear to the doctors that she was suffering from a heart attack so they had been systematically checking everything from her brain, to her lungs, to her heart. He sounded so sad and exhausted. 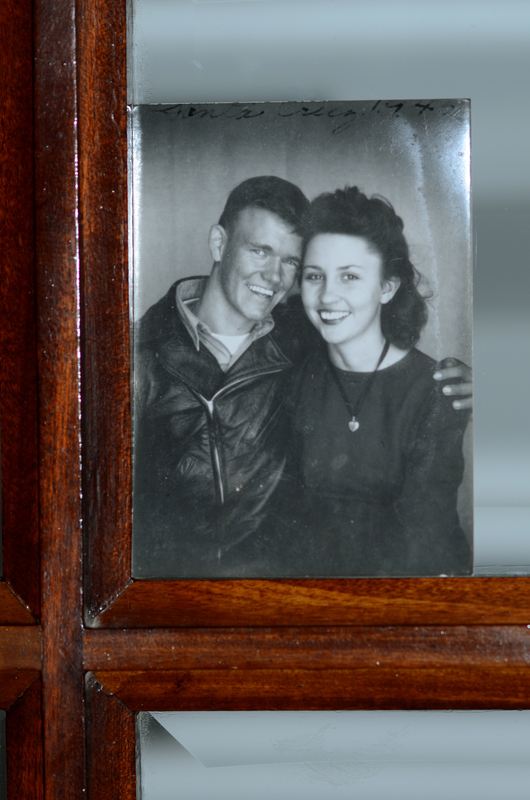 My parents have been married for over 65 years. They are both in their mid 80s. They have each had some surprise medical emergencies, but because they are so clear-minded and committed to their life together, they have helped each other and manage to maintain a happy level of independence. It is unimaginable that one would be without the other. The entire day I had to wait to get information about Mom, I thought about this. At 51, I still live in the luxuriously naive state of assuming my parents are going to continue to be OK, that they will be there to answer the phone when I call every Sunday. I know other people have parents who have died and one carried on without the other, but that isn’t possible for my parents. They need each other. In the end, the doctors couldn’t find anything they thought they could improve through surgery: good news. They gave Dad some tools and strategies to help her at home if she has another attack where she can’t breath: also good news. They didn’t make the possibility of this happening again go away: less good, but livable. By Thursday, they got to go home together to their comfortable house, now with an oxygen tank, but sleeping in their own bed and carrying on the sweet life they have. We were saved. But then Wednesday, we had a political assassination here in Tunis, something practically unheard of in this country where citizens don’t own firearms. 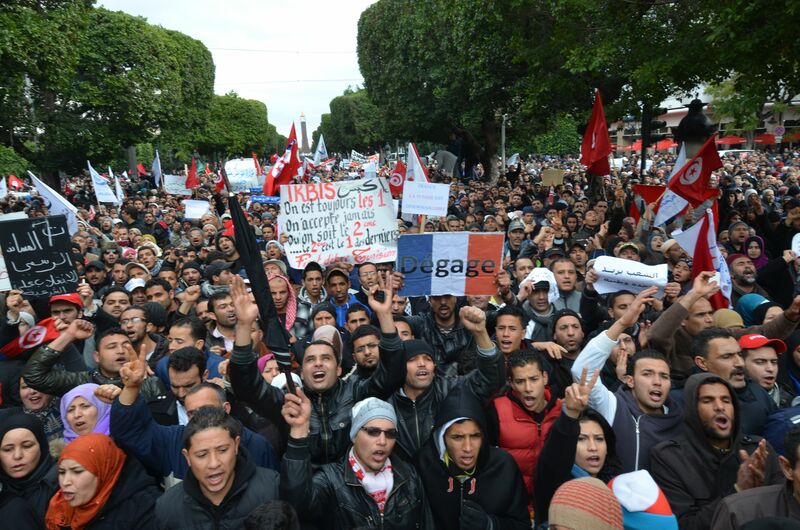 The man killed was Chokri Belaid, leader of the secularist party in opposition to the increasingly unpopular Islamist party which is in control of the government at the moment. We don’t yet know who killed him, but it looks bad for the Islamists. On Friday, the day of his funeral, an almighty wail went up from Tunisia. Possibly close to 1,000,000 people thronged to the cemetery. Thugs, terrorists, and opportunists also went and burned cars, beat people, and stole whatever they could get their hands on. It was both sad and ugly. As sometimes happens, maybe some good can come from this. The prime minister has vowed to replace the political appointees in the government cabinet with technocrats who should be able to more effectively keep the country running while the government figures out the new constitution. His own party is against the idea, but they might have to back him up or risk throwing Tunisia back into a full-fledged revolution. This week will be telling. Finally, the weather turned unusually cold, with low temperatures, wind, and icy rain. Compared to the weather in New England at the moment, this is nothing, but it did add to the unsettling atmosphere of the week. 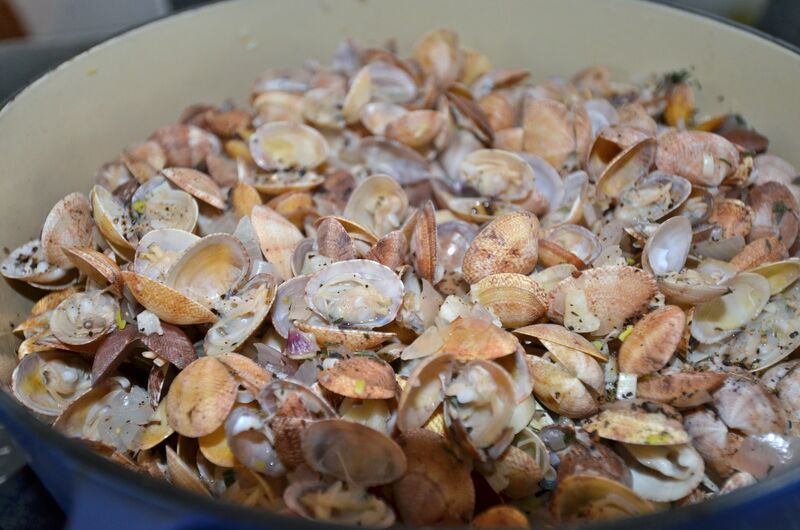 We found some teeny, tiny Mediterranean clams at the market on Saturday called tellines. They are so little and delicate compared to our Northwest clams. We steamed them in the Provencal style of shallots, garlic, lemon, butter, cracked black pepper, and a bottle of good white wine. Picking through ladles full of these delicacies, and dipping chewy, buttered bread into the broth, calmed our nerves. I won’t try to tie it up in a nice bow. It was an odd week. It could have gone differently, but we experienced some grace within it. Sorry to hear about this scare with your mom, it makes the distance seem that much farther. Praying that this passes without another episode. Sending hugs your way. It’s been quite a ride for you over there, hasn’t it? Sooo sorry for all the stress you had to go through! I am relieved your mom is better now. May God protect your parents , make them healthy and make you happy dearest Julie! Thanks for your caring coverage of the tragical and sad recent events… May God protect beautiful Tunisia so that we can enjoy living here peacefully!!! Your parents’ picture is beautiful. I see you in your mom and Anton in your dad. A dodged bullet is a reminder to appreciate every minute of your time with them as well as all your loved ones. Big hugs to you, Julie!